Have you ever wanted to work with a mentor? Listen as the mentoring guru, Claire Diaz-Ortiz shares her wisdom on how best to use mentoring to increase your author success. Claire Diaz-Ortiz is an author, speaker and Silicon Valley innovator who was an early employee at Twitter. Named one of the ‘Hundred Most Creative People in Business’ by Fast Company, she holds an MBA and other degrees from Stanford and Oxford Universities and has been featured widely in print and broadcast media, such as CNN, BBC, Time, Newsweek, The New York Times, Good Morning America, The Today Show, The Washington Post, Fortune and many others. She writes a popular business blog at clairediazortiz.com and is the award-winning author of eight books that have been published in more than a dozen countries. 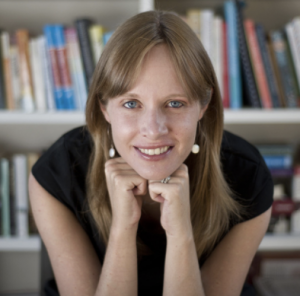 Her latest book, which she co-authored with Ken Blanchard, ‘One Minute Mentoring: How to Find and Work with a Mentor and Why You’ll Benefit from Being One’, was released in May. Q: Claire, what is the difference between mentoring and coaching? 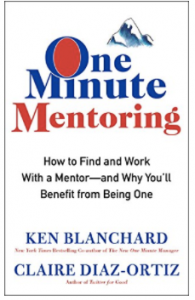 A: When Ken Blanchard and I were working together to write the book, ‘One Minute Mentoring’, the definition that we came to how is mentoring different from these other schemes, is essentially the idea that mentoring is a bit more holistic. Coaching is about working on or working through a specific problem, usually with some kind of goal of increased performance. Coaching is often a paid arrangement. Mentoring, in contrast, is more holistic. You look at mentoring in terms of your whole life. Or you can look at mentoring in terms of your personal life or your business, but you’re going to be looking at mentoring in a very niche topic. Let’s say you want to find a coach to help you become a better public speaker, say. I really believe that mentoring is a more general way to get to where you’re next going in a particular field of your life.